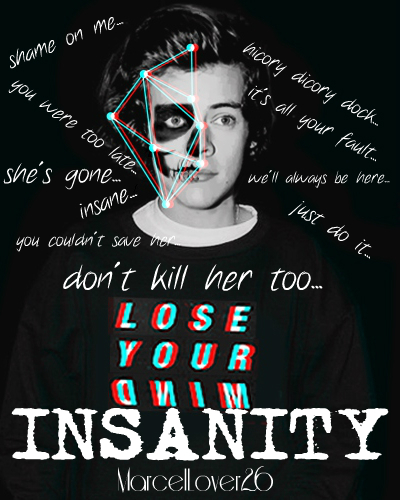 mumbled "Coming Soon - Announcement: March 9th, 2016"
More info on Insanity coming soon. Please remember that I am your queen, and you are my peasants. mumbled "My Apologies - Lack of Updates"
Hello! I would like to apologize for the lack of updates on Finally Falling and Silent Stripper. I currently have strep throat and have been too sick to do anything. I don't think I mentioned this, but on February 9th, I got my appendix removed so I'm also recovering from my surgery. I'm in a lot of pain, and I haven't really felt like updating the past couple days. I did not update today, Monday - Finally Falling. Updates will start up again regularly with my current schedule on Thursday, March 3rd, 2016 with Chapter Six of Silent Stripper. I have to make this schedule because I have this new OCD where I can't do anything unless it's been scheduled. I know, weird. Let me know how you guys have been since I've been gone in the comments, and tell me if we've been friends in the past and something that happened between us to help me remember you! I notice some very different usernames, so that's why I'm asking lol. Remember that I am your queen, and you are my peasants. Please Update! You're an amazing writer!